R is a powerful tool for statistics and graphics, but getting started with this language can be frustrating. 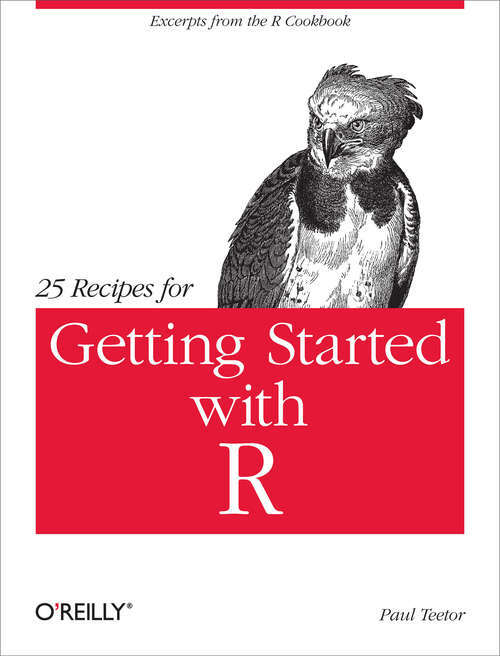 This short, concise book provides beginners with a selection of how-to recipes to solve simple problems with R. Each solution gives you just what you need to know to use R for basic statistics, graphics, and regression. You'll find recipes on reading data files, creating data frames, computing basic statistics, testing means and correlations, creating a scatter plot, performing simple linear regression, and many more. These solutions were selected from O'Reilly's R Cookbook, which contains more than 200 recipes for R that you'll find useful once you move beyond the basics.